Adovia is a skincare brand that incorporates minerals and salts into its products that are responsibly gathered from the Dead Sea - the world's oldest natural spa. These minerals provide nutrients that help rejuvenate and replenish the skin's cells. 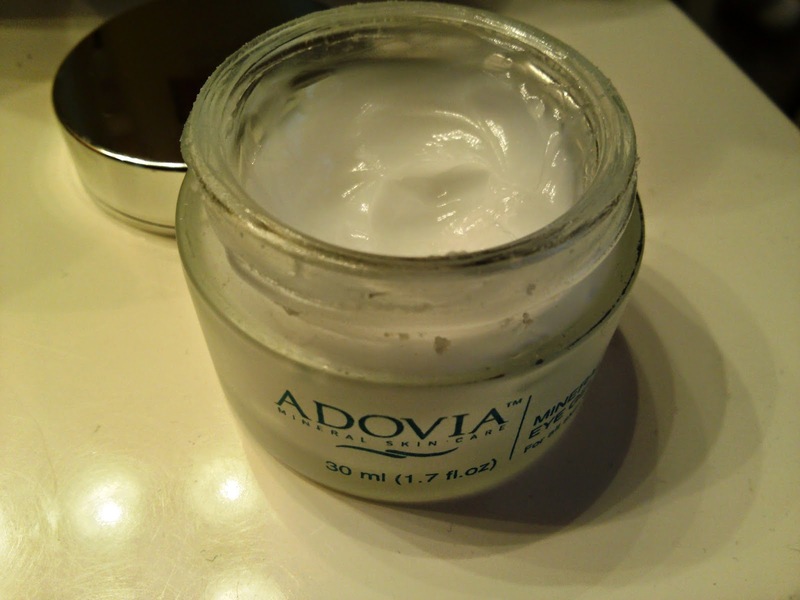 In addition to Dead Sea salts and minerals, Adovia Mineral Eye Gel contains several natural ingredients such as aloe vera, sweet almond oil, olive oil, carrot oil, Vitamin C, and rosehip oil. Together they create a light gel that feels great on my skin. It goes on silky smooth and absorbs quickly. I use this gel every night and can't get enough of it. It cools and soothes my dry eye area, which is refreshing at the end of the day. It hydrates and moisturizes really well, and I've actually noticed smoother and more radiant looking skin around my eyes. This gel comes in a little pot and is a nice size - 1 oz - for an eye gel. It's such a light gel that you don't need to use a lot each time, but I do probably err on the side too much just because I like the feel of it. Overall, this is one of my favorite eye products and I recommend it.